Let me start off this review by pointing out the picture above. That is your standard 24 pin ATX power connector. Inside a mainly white and black case, it definitely clashes. 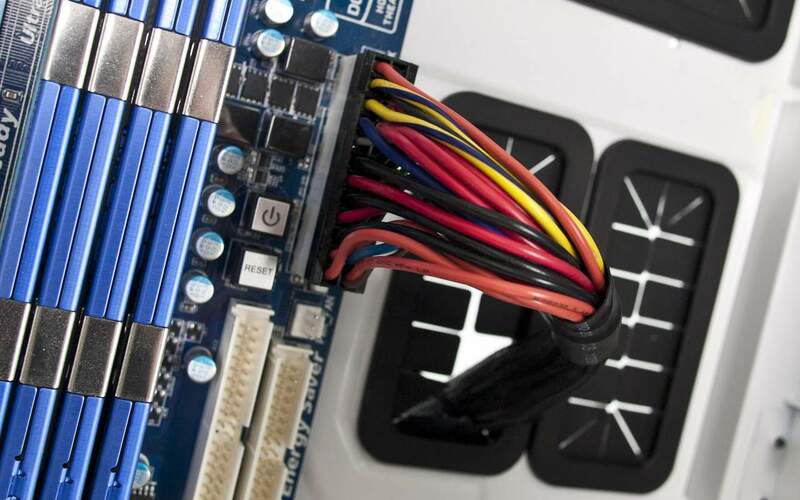 The tight bundling of the cables as well as their potential to be too short to reach the top of your motherboard in some full tower cases, can also cause its own unique issues. That's even before you've pondered cable management in your latest build. 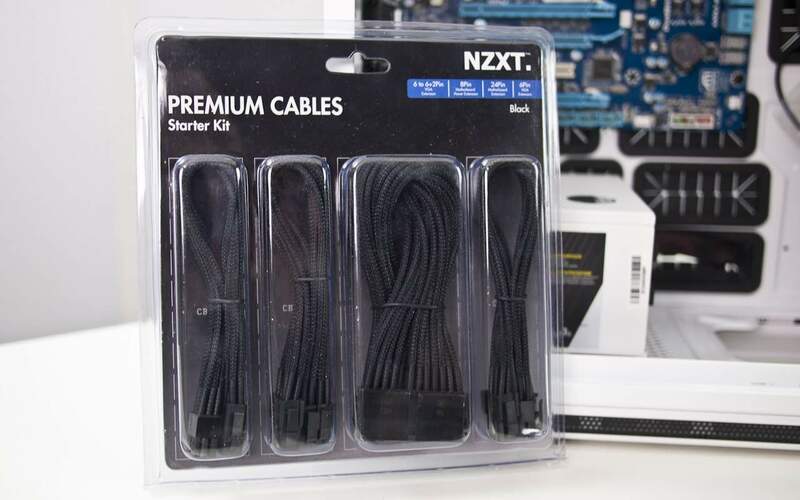 NZXT has a solution to alleviating these issues and they call it their "Premium Cables Starter Kit". Let's see if it's a need or a want for your latest build! What's a Premium Cables Starter Kit? In a nutshell, NZXT. has taken their most popular cables from their excellent sleeved cabling extension line and have bundled them into a kit that will get the main cabling trouble spots in a system taken care of. 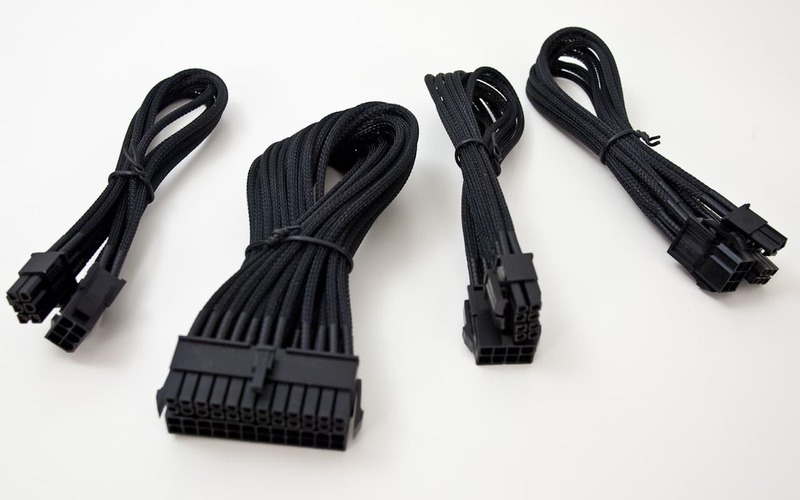 In this kit are high quality, individual sleeved, cable extensions for your 8-pin EPS, 24-pin ATX, and 6 and 6+2 pin VGA. Since the they are individually sleeved and finished, they bend easily and can be twisted in ways that regular power supply cables can't. NZXT. sells the whole kit for only $24.99. But unlike their other sleeved cabling products, this kit only comes in black. Not an issue if you use black cables anyway, which I actually do. But it would be nice to have some color choice from the get go. 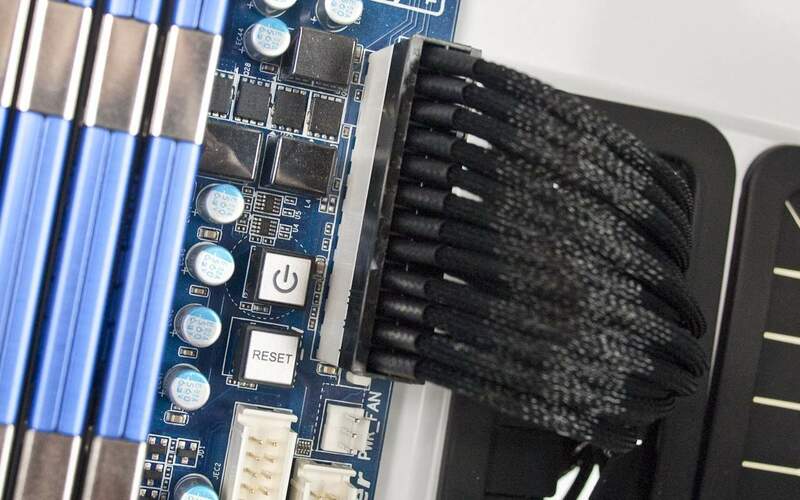 Each extension is 250mm in length so they aren't so long that they create an additional cabling nightmare on the back of your motherboard tray. Because I'm a horrible combination of being both impatient and somewhat obsessive about cable management when building a system, anything that allows me to do both is an asset. I discovered sleeved cabling a couple of years ago and I haven't built a demo system without them since. However, I always seem to buy the same cables over and over again and they just so happen to be the ones in this kit. I always start by pre-installing my 24 pin and 8 pin power cables into the motherboard before dropping it in the case. Then I move them through the grommets to the back of the motherboard tray. I also pre-route my VGA extensions from the back of the motherboard tray, into the front of it where it meets my GPU of choice. Then I can worry about installing memory, expansion cards, CPU cooling system (if I haven't already pre-installed it), without having to worry about how I'm going to deal with these cables, especially the 8 pin power at the top of the board. I put together a system with this kit specifically (above), and they worked just as perfectly as cables I would normally have to buy individually. This saves a lot of time when you're at the computer store and can save you a few dollars over going separately. The only thing I would love to see improved is perhaps a slightly softer braiding material. While the cable extensions are pretty malleable, your hands do tend to come in contact with them, especially if you are managing cables in a tight spot. On the upside, the durable jacket means that you can use these over and over again. 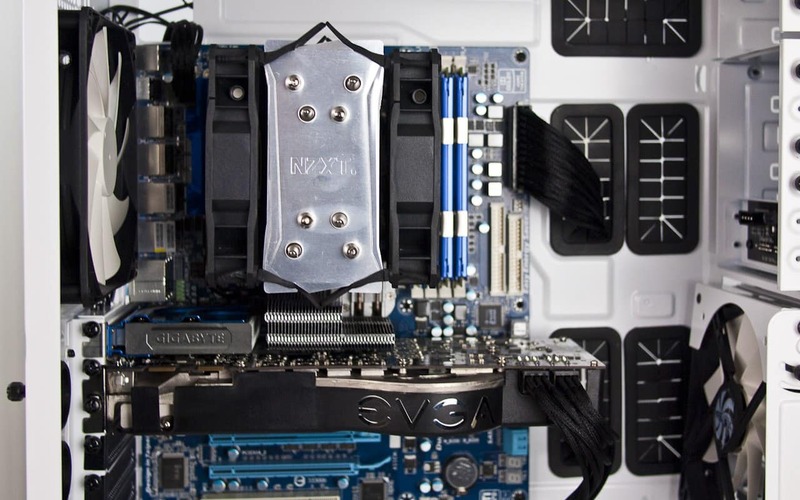 It's definitely clear that the person or persons that put this kit together at NZXT. actually build enough systems themselves, to know that these are the extensions you need. They are the perfect ones that allow you to get your new system up as quickly as possible without sacrificing on the clean and tidy look of a well cable managed system. The moderate 250mm length isn't too long nor too short and should minimize issues with cable bunching in the back of your motherboard tray. It will definitely maximize the flexibility you have with cable management with the extra bit of slack, allowing you to route these cables more to the outer edges and away from potential clutter zones. About the only place where I could see an issue with this cabling kit hurting rather than helping is if the case you are building into has extremely poor cable management behind the motherboard tray. But that's hardly the fault of this kit. About the only thing I dislike is the blister packaging. They look great, but I've sliced up more fingers on these things than I have building any system. Find a better way to get these on the shelves please! If you've never used sleeved extensions before, I definitely urge you to give them a try. They've become a need instead of a want in my own builds. And what better way to do it than with everything you need in one package with the NZXT. Premium Cables Starter Kit. They are definitely my "Editors' Choice". For the moment, only available in black.